Are you interested in providing your skills and experience towards an organization that makes a difference in the lives of those who will inspire and grow with you as well? Open Doors commitment to multicultural families, children and adults with disabilities and connecting volunteers to the right position, will provide to you a once in a life time opportunity. Please contact us to learn more about how your interests can be combined with the organization’s needs to ensure a lasting positive impression. CLICK HERE if you are over the age of 18 and would like to register with Open Doors as a Volunteer. If under 18, please request your registration form via email from our Administrative Assistant: ciliaj@multiculturalfamilies.org. Objective: To assist Youth Program students and staff. Depending on various Youth Program sessions. Volunteers must read The Volunteer Handbook and take part in an orientation conducted by the Volunteer Coordinator/ODMF staff. 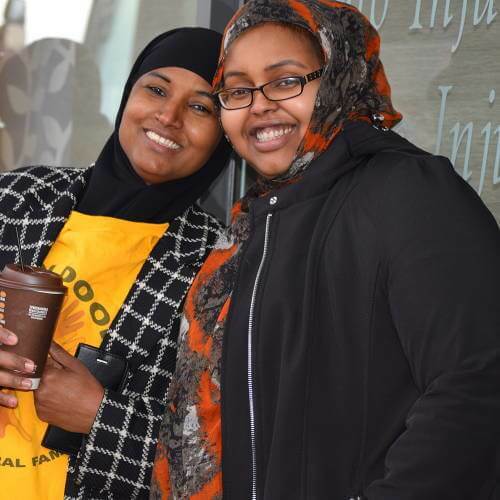 Open Doors for Multicultural Families’ Volunteers are encouraged to communicate with the Volunteer Coordinator/ODMF Staff at any step in the process with any comments, concerns, questions, etc. Objective: To assist the Open Doors staff with tech-related questions and ad hoc onsite needs. Above average knowledge in IT systems/software/etc. Available by phone for IT related questions; request most often requires over the phone communication than a duration of time while at the onsite location. Assist Family Support Specialist and Event Organizer in organizing events, such as trainings and families outing, to maximize our capacity to serve multicultural families with children who have disabilities. Every year, Open Doors for Multicultural Families organized annual events to provide families/parents, their children as well as the whole community opportunities to come together to celebrate holidays, sharing ethnic food, do arts and crafts, parent trainings and other fun and meaningful activities. Furthermore, Open Doors provides outdoor events year round such as snow tubing and kayaking to be made accessible to our families and their children. Recently, Open Doors has been successfully hosting hundreds of families and children who participated such events with generous support of our volunteers from the past. Open Doors encourages you, as volunteers, to devote your time, energy and skills to help prepare for the event as well as provide onsite help when the event occurs. Helping families to register for the event two months prior to the event. Must possess a commitment to the belief that all people have the right to dignity, respect, opportunity and full community inclusion. Fundraising Volunteer will assist the organization in earning funds to directly support the Open Doors for Multicultural Families (ODMF) mission to serve diverse families with children who have disabilities. Adding these much-needed resources will allow ODMF to continue provide services to these families. Communicate with the Volunteer Coordinator, Board and Fundraising committee, on any concerns, issues, questions, etc. Leverage connections with local businesses, community groups, and other individuals to maximize fundraising and disability awareness participation and support of the ODMF mission and Special Events. If creating their own fundraising event in support of ODMF, the volunteer should complete the event and communicate openly both ODMF staff and any supporters of the event. 100% of the proceeds will be received by ODMF. The volunteer must be explicit in explaining that the fundraising event is sponsored by the individual, not ODMF. Volunteers must read The Volunteer Handbook and take part in an orientation conducted by the Volunteer Coordinator/ODMF staff. Open Doors for Multicultural Families volunteers are encouraged to communicate with the Volunteer Coordinator/ODMF Staff at any step in the process with any comments, concerns, questions, etc.